While this approach, as well as the obvious absence of the (long deceased) Doctor in question, would seem to make the current installment of the Lost Stories into something more of a Companion Chronicles, there are three mitigating factors in play here. First is a strong emphasis on acted drama that would belie the aforementioned classification. While there have been a few partially and/or fully cast and acted Companion Chronicles over the years (such as the Colin Baker/Peri Piscon Paradox and the Jago & Litefoot Mahogany Murders, which I’ve yet to lay hands on but which further inspired an entire full cast drama range), as a whole the Companion Chronicles line tends towards strict audiobook style readings by one or more of the various Doctors’ companions from over the years, and generally ones whose Doctor is either Deceased (Hartnell, Troughton, Pertwee) or was at the time unavailable for casting (Tom Baker for many years, or any of the 5th-8th iterations otherwise engaged at the time). 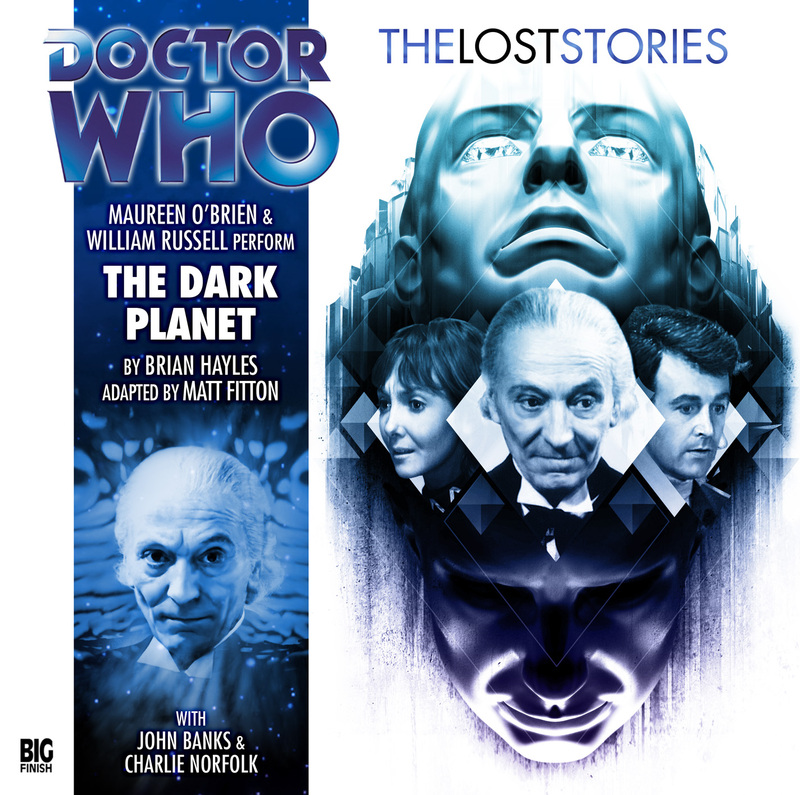 While The Dark Planet does feature a relatively diminished cast and is staffed in the main by two former companions, it is far more of a proper staged audio drama release, and as such would more properly fall into one of the main lines – the Lost Stories being as suited to the purpose as any. Secondly, we come to the length hereof. In the main, Companion Chronicles releases, like the Fourth and Eighth Doctor Adventures and other sidelines such as Gallifrey, Bernice Summerfield, Iris Wildthyme and so forth, tend to be shorter, single disc releases. It is only with the main monthly and Lost Stories lines that we move into the realm of television style, multiple episode stories that run two discs (or occasionally more). The Dark Planet runs an old school Doctor Who length 6 episodes, amounting to 3 full discs worth of material (!). Finally, and perhaps most importantly, The Dark Planet conforms to a very important classification: it actually qualifies as a “lost story”. Since it hasn’t been noted thus far in the discussion, let’s take a small step back and address this one. Fans of Classic Who* have long mourned the loss of a number of interesting “might have been” scripts officially commissioned and (in many cases) completed for what would have been Colin Baker’s second season as Doctor, back in 1985. As everyone reading this likely knows, Michael Grade and BBC bean counters intervened, choosing to pull the program (which had generated a modicum of controversy during the experimental “unstable regeneration” concept of the early Colin Baker run) off air, so as to channel allocated funds towards the new series Eastenders. A lengthy and vocal campaign succeeded in reinstating the series to television, but the existing Series 23 scripts were scrapped in favor of an ill advised Eric Saward portmonteau “Trial” that mirrored the real world difficulties the show was undergoing at the time, which ended in Baker being effectively forced to leave the program with little but a fairly checkered abortive run to his credit. *(or if you want to be more blunt about it, Whovians proper, as generally separate and distinct from “Newvians”, or fans who jumped on board with the Russell T. Davies revival (subsequently taken over by Coupling comedy series author Stephen Moffatt). The distinction is an important one, as not only is the new series quite far removed in tone and stylistic signifiers from the original series (literally as far as the recent Star Trek revival films, scripted by a self described Star Trek hating Star Wars fan, are from their intellectually oriented, high concept progenitor), but in the fact that a respectable percentage of its fans have an apparent tendency to view the classic series as something of an embarassment, “boring”, “slow” and marked by “bad special effects” – mind, some of these being former Whovians who’ve been “converted” to the more ADD oriented, CG lights and mirrors rollercoaster ride “modern” style)! While Big Finish audios would go a tremendous way towards the “rehabilitation” of the Colin Baker interpretation of the Doctor (or as he put it, finally allowing him to flesh out the character as originally intended), descriptions of these never-aired scripts have tantalized fandom for decades. Enter Big Finish. Having already developed a number of Who related lines focused on various companions, fanfic creations (like the popular Bernice Summerfield) and spinoffs, someone got the brilliant idea to gather these scripts (or in some cases, fragments), polish them up a dash to adapt for the move from televised to audio format, and have the Doctors and companions in question finally perform them for our delectation. While the one many of us were long awaiting (Yellow Fever and How to Cure It, by Robert Holmes – a sequel to what may be the greatest of all televised Doctor Who serials, Talons of Weng- Chiang, also notable as the sole pre-Big Finish appearance of Jago & Litefoot) was passed over for production due to understandable if regrettable sensitivity towards more modern sensibilities (admit it – Sax Rohmer doesn’t exactly go over well with the general populace these days, however much some of us may be enamored of him), essentially all existing usable scripts were in fact covered. A further run from what would have been the 1990 Season 27 of the Sylvester McCoy Doctor and Ace (and a postulated new companion slated at the time to debut a few episodes in) turned into a series-wide production of unmade commissioned scripts, until we circle back to where we started, with the script in question, originally written for the 2nd season back in 1965 by Brian Hayles (who passed on back in 1978). Things do turn out far more complicated than one might expect, naturally, and the second iteration of the Hartnell Tardis crew becomes embroiled in various aspects of an internecine war between the shadow and light, where all is not as it may at first seem (as the opening metaphor of Ian’s introduction of Vicki to the art of film-based photography and the concept of negatives makes quite clear). While many of the televised Hartnell era episodes (and in fact, much of the Troughton era as well) tended to be far more straightforward and geared towards a juvenile audience than the series would later become under the likes of Barry Letts, Philip Hinchcliffe and John Nathan Turner (and their many respective script editors who exercised a more direct control over the steering thereof), The Dark Planet is pure Big Finish, adult oriented, intelligent and deep concept based dramatic goodness all the way through. Having only recently sat through the complete extant Hartnell run myself (being, as noted at the outset, literally the last classic Doctor we managed to finally warm to), it is apparent that the approach in the early days was more of a schoolroom educational one, marked by a number of historicals offset by near-Carry On bits of farcical humor (Nero in The Romans? The audio for The Myth Makers? The decidedly light hearted and whimsical character of the Meddling Monk?) and the expected “hide behind the couch” monsters (everything from longstanding favorites like Cybermen and Daleks to one offs like the Monoids and the Voord). Hartnell, while irascible and often imposing, simultaneously delivers something of a nigh-senile grandfatherly approach (not content to putter about, flubbing lines with regularity and losing his way while insisiting he knows exactly what he’s doing, his line delivery was peppered liberally with bouts of bemused giggling to himself and random “hmmm?”s – literally dozens per serial!). There is, in the main, little of the serious introspection and concern over meddling in the affairs of the situation of the week and its particular implications and ramifications that would become the standard from the prominent moral outrage of Pertwee’s take straight through to those of the current series. In the televised version, it’s almost like The Doctor and companions just stumble into the story of the week, have a few laughs and a dash of peril to keep the punters happy, with plenty of room for Ian and Barbara to flirt shamelessly (it’s amusing to hear Chesterton insist there was nothing going on between the characters, given the relative salaciousness of some of their exchanges in adventures like The Romans and the Keys of Marinus). But not so here, where The Doctor, Ian, Barbara and Vicki all become involved in a direct and immediate fashion with various parties on both sides of the civil divide, exposing the listener to the multifarious facets comprising the underlying issues, building pieces of a puzzle that, in the end, hammers home the important lessons that everything is not as it at first seems, that simple solutions tend not to be the correct approach to take in problem resolution of any sort, and that the world is never black and white, but comes in seemingly infinite shades of moral grey, meriting each life situation or encountered scenario (and those playing parts therein) be judged on its own inherent merits. 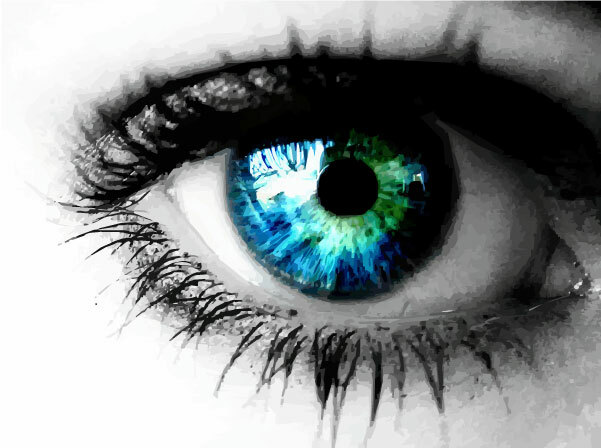 And in the end, if anything will build a level of harmony between one person, belief system or culture and another of different or seemingly opposite predilection, it will be based on calm and reasoned communication between them – without that, we are doomed to endless, pointless, genocidally self destructive strife. Yeah, it’s playing on that level, as many of the best stories, particularly in classic science fiction, especially in Doctor Who and practically as a trademark with Big Finish, tend to so do. I’m unsure whether the performances work so well as they do more due to my suspension of disbelief from years of exposure to OTR (old time radio, for those unfamiliar with the term – 30’s and 40’s fully acted audio drama predating television and generally proving far superior thereto – things like The Shadow, Sherlock Holmes, Tarzan and Omar the Wizard of Persia) or the skill of Russell and O’Brien in capturing the respective nuances and shadings of the characters involved, but I could swear I heard distinct variations betwixt Russell as his own Ian and the late Hartnell’s Doctor, and between O’Brien’s Vicki and her take on Jacqueline Hill’s Barbara. While these are clearly the same actors doing the voicing, this is no typical audiobook hackwork, with some long-ago TV personage putting on voices that all come off the same (George Takei’s late 90’s recitation of Sherlock Holmes’ Last Adventures must be heard to be believed). Granted, it helps having worked closely with the two late actors in question, and Russell’s take on Hartnell is nowhere near as irascible and prone to violent outburst as the man in question tended to come off as, but even so, kudos for the efforts here. Of note also is the eerie music score by Toby Hrycek-Robinson, which manages to be inobtrusive while still managing to raise the hackles and set one’s nerves on edge, a perfect complement to the dark toned voyage into a wholly unknown setting the story represents. In all, another strong offering from the Lost Stories line, and a particularly dark, thoughtful and ultimately standout contribution to the comparatively lightweight Hartnell era, with no less than two of the original companions working at least double duty.